Come early, spend the day. Selected one of the top 10 Mazes in America. 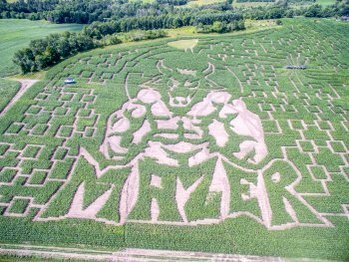 24 acres of fun as the largest maze in New England. 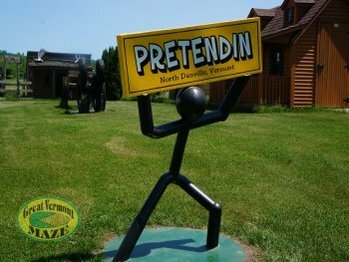 New maze designs & surprises every year, miles of Pathways, Bridges, Emergency Exits, Views, Barnyard Golf, 100' of Underground Tunnels, the PRETENDIN Play Area and Petting Animals. Open Aug 1 - mid-October. Recommend arriving before 1 pm if you want a chance to solve the maze before we begin our closing process. Opens at 10 am each day during the season. Last people admitted at 2 pm each day. Reservations needed only for the popular October even - DEAD NORTH - Farmland of Terror! 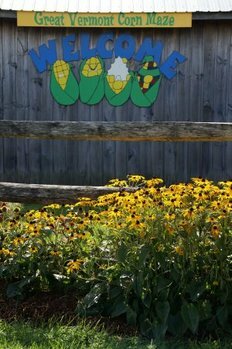 Great Vermont Corn Maze & Barnyard has been added to your trip.